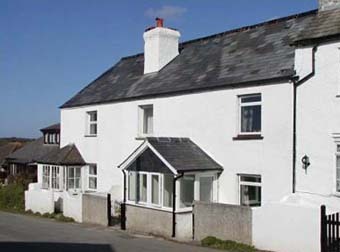 Cornwall cottage Marhamchurch, self catering holiday cottage offered in Marhamchurch, near Bude. Self catering holiday cottage offered in Marhamchurch, near Bude in Corwall. 2 bedroom cottage which is a great base for exploring the lovely countryside of Cornwall and North Devon. Beaches are nearby and the local pub and village shop are just 1/4 mile walk from the cottage, for nightlife, the bustling resort of Bude is just a short drive away, with plenty of clubs, pubs and restaurants. The cottage has everything that you could need for a relaxing holiday. The village centre, a short quarter mile walk, offers a church, pub and a well stocked general store. Nothing much happens here, so it’s the perfect place to relax, but for those who miss the city life there is a rush hour of sorts when the tractors make their way home from the fields. The sandy beaches of Bude and Widemouth Bay, which are famous with surfers, are an easy drive by car or about a half hour walk. You can check out some information on Marhamchurch here: Marhamchurch Guide.